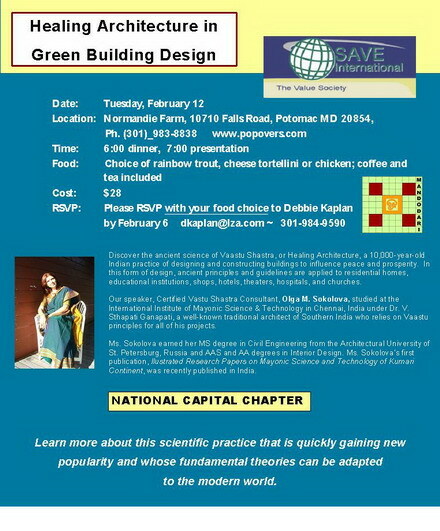 This workshop helps students understanding the most intimate connection between the Cosmos and architecture, between human and a house with further guidance on how to implement this knowledge in architecture and design and how to enhance your own home. 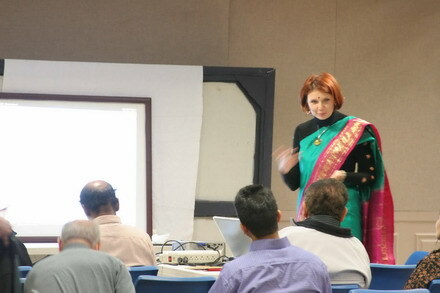 The workshop is based on the teachings of Brahmarishi Mayan and Shilpa Guru, Dr. Ganapati Sthapati. "Vastu Shastra deals with Energy and Matter, Time and Space, Rhythm and Form and finally Nama and Rupa. In other words this Indian science deserves to be called Supra Nano Science and Technology of remote origin in Kumari Continent, since it is E=mc2 in short. 'Vastu Reva Vaastu'." Your house influences you, as it is a living energy. I know how to calculate this energy to uplift yours. Therefore, your house will resonate with you. The energy can arrange itself in your house to make you happy and to be calm. For this, there are ancient rules of design, called Vastu Shastra. These teachings came from ancient India. My lectures and classes will help you understand this amazing science. "Learn how to create a happy home by applying the teachings of Vaastu Shastra"
Lectures and meditation workshop in Sacred Vastu Vimana workshop. 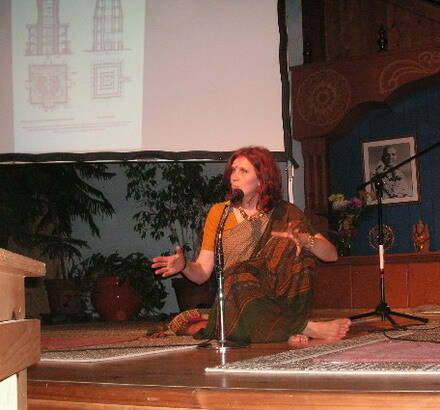 Olga is an extraordinary teacher of Vaastu, with great enthusiasm and power of conviction coming from her inheriting of the shakti of her divine teacher and guru, Dr. Ganapati Sthapati, a most renown divine architect of India and the world. The science of Vaastu not only helps you practically to know how to improve your space and your environment, but also to open your awareness to the mystery of the universe and feel the grace to be part of the breath of life. 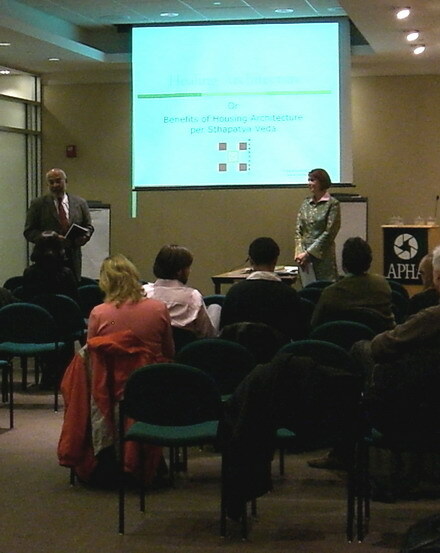 Lecture at Ayers/Saint/Gross Architecture and Planning firm supported and organized by architect Dhiru Thadani, principal in the Baltimore-based architecture and planning firm Ayers Saint Gross, he is also a member of the CNU board. 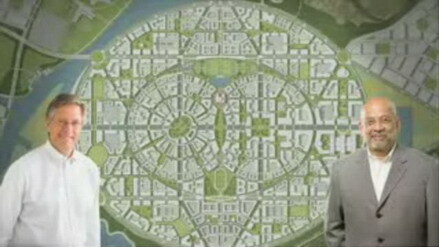 The background image (courtesy of www.youtube.com) is general plan of Vedanta University, Orissa, India sponsored by Anil Agarwal, who “has established a $1 billion endowment to build a world-class, multi-discipline university.” (New Urban News, September 2006) On the left Adam Gross, design principal at the Baltimore architectural firm Ayers Saint Gross and on the right Dhiru Thadani, principal in the Baltimore-based architecture and planning firm Ayers Saint Gross.